PAPUA New Guinea’s top chief executive officers yesterday hailed the economy as robust saying its current short term difficulties will be overcome based on its long term improvement strategies. Prime Minister Peter O’Neill, Governor of the Bank of PNG Loi Bakani and Treasury Secretary Dairi Vele were among the top shots. They gave their assurances when addressing the CIMC National Development Forum currently being held at Holiday Inn in Port Moresby. All three gave the same message with the central theme of PNG’s resilience in withstanding the current depressed global commodity prices. They predicted economic recovery in the not too distant future or in less than two years. Mr O’Neill said that despite ongoing issues and challenges there was strong and sustained economic growth, 7.5 per cent on average and steady growth in employment which was 7 per cent on average under PNG’s positive economic outlook. The central bank governor said that while there are issues and challenges we face in the short term, the medium to long term prospects and outlook for the economy are positive and strong. 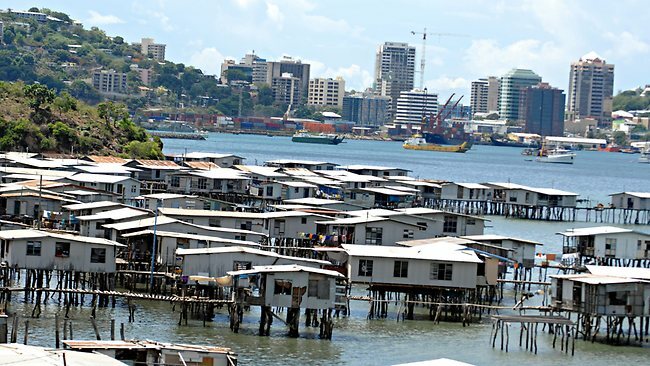 “The PNG economy will continue to grow in real terms but at a slower pace (2 per cent to 3 per cent). Inflation projected to be in the range of 6 per cent to 7 per cent,” Mr Bakani said. “Clear and direct focus by the Government on developing rural areas, infrastructure, education, health, agriculture, tourism and SME is the right strategy for PNG,” he said, adding that the Government was focussing on diversifying the economy to broaden revenue base and to achieve future sustainability of inclusive growth. “We are currently enjoying our longest period of real GDP growth which is expected to continue in 2016 for 14 consecutive years since 2002,” Mr Bakani said. Mr Vele on the other hand said that the PNG economy was expected to revert to trend growth of 2.2 per cent after absorbing the full impact of the first PNG LNG Project production in 2014 and 2015. The major drivers of this growth, including agriculture, which was expected to see some improvements this year, he said. He said however that activities in the other non-mining sectors, especially the manufacturing sector, the wholesale and retail trade sector and the construction sector have moderated and are estimated to be lower than expected while there are mixed developments in the mining sector.